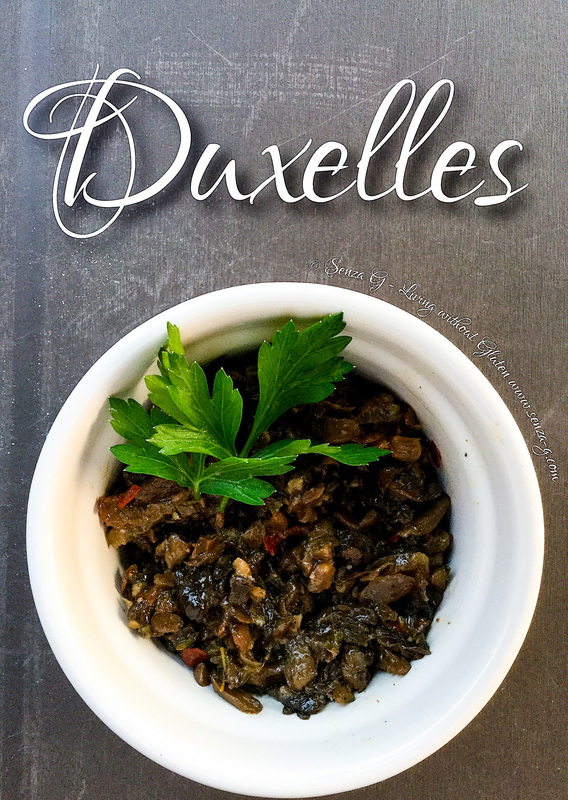 Mushroom Duxelles is an old fashioned French recipe which dates back to the 1600’s. It is basically a mix of finely chopped mushrooms and herbs cooked in butter. It is used in stuffings, sauces, pastry fillings, to flavor soups or even as a garnish. It is very simple to make and it adds an intense flavor to many dishes. Melt the butter in a pan and add the onions, garlic and cook over medium heat. Add the mushrooms cooking over low heat until there is no liquid in the pan. It can take up to half an hour. Add the freshly chopped parsley and season with salt and freshly ground pepper. * Chilli is definitely not an ingredient in the basic Duxelles Recipe, but you will notice the chilli pepper bits in the photo. I did not add to the list of ingredients but just added it in my Duxelles.